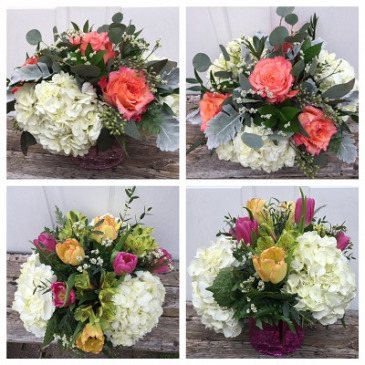 Mix of hydrangea with your choice of tulips or Free Spirit garden roses. Please specify roses or tulips during checkout. If no preference is provided, the arrangement will be made with roses!